“If a picture is worth 1000 words, video is worth 10000 words, literally.” The next DMLA webinar will explore the movement to video and mixed media online. What does it mean for content licensing, growing your business, the still photo business? The predictions are staggering—but will they be realized? *According to a report by Cisco, 80% of all content viewed online will include video by 2019. Leslie Hughes will moderate a conversation about the movement to motion, what it means, how brands are implementing video and using stills in mixed media projects.We will get perspectives from the creator of Pixeldot, Luke Taylor. 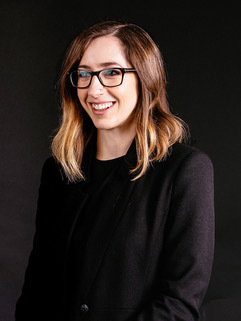 Natalie Lloyd, also from Pixeldot, will join us as a brand strategist. 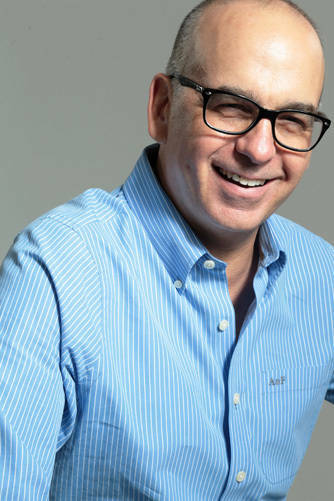 We will also hear from Director/Photographer Stewart Cohen, who recently took over as CEO of Superstock. Co-Founder of the award-winning branding agency, Pixeldot, Luke leads the creative direction of the business, embedding the practice of applying design thinking to solve business challenges into the core of every project. Entrepreneur-minded and creatively driven, Luke sees brand as the all-encompassing output of a business. 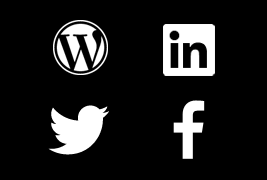 As such, Pixeldot work with clients across the UK, Europe, US and Africa to unlock their potential through connecting the brand thread of their business. Luke is also a photographer, father and Whippet owner, and an impassioned up-and-comer. With a career that runs the gamut of the creative and digital industries, Natalie has been making her mark in the UK and abroad for the past decade. As Strategist at Pixeldot, Natalie draws on her experience to help businesses reach their full potential through technology. Spanning the UK, New York and Montpellier, previous roles include Director of MOHARA, a digital product studio and Curator / Producer of TEDxBrighton, with clients ranging from international banking groups to national public arts organizations. Canadian born Stewart Cohen is known for his subtle yet effective fashion in which he directs people, and for the enthusiasm and energy he brings to all assignments. His visual approach is honest, resonant, authentic and cinematic. He moves seamlessly between large-scale productions and smaller intimate ones keeping his visual acuity sharp. Stewart is a founding member of Blend Images — the world’s leading multicultural commercial stock agency — and has led the Blend motion content ingestion system since 2009. 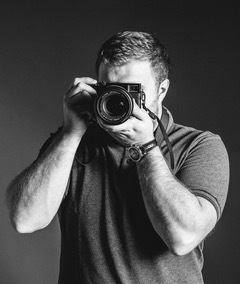 In 2009 Stewart also joined a group that bought SuperStock, a royalty-free and rights-managed image collection which includes: fine art and illustration, vintage, science and technology, lifestyle and more. Stewart became the CEO of SuperStock in January 2017. .
With more than two decades of experience in digital media, Leslie Hughes’ career bridges creativity, business, content and technology. With VisualSteam, Hughes drives strategy and business development, developing insights, innovations and plans to help our clients move forward and grow their businesses. We help clients bring new products to market, new markets to products, and to communicate more effectively with their audiences. In 2016, Hughes founded iSPY Visuals, a search aggregation tool to help art buyers and photo editors more quickly and easily, find and work with visual content. iSPY launched its beta site in February 2017. 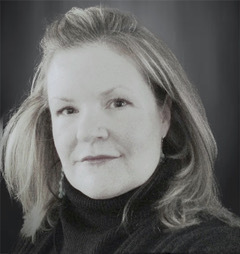 Hughes is a seasoned speaker, published writer, and visual content industry specialist. She has a passion for the ocean and spends as much time on the water as possible, boating, kayaking and swimming. Hughes is a mother, daughter, sister and women’s rights advocate. Please mute the microphone at the top. If you’ve not used Adobe Connect previously, we suggest logging into the session a few minutes before the start to download and configure the neccesary software. 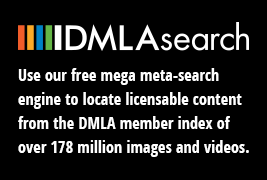 DMLA is a unique community of visual media licensing professionals who share a common goal, building a stronger and more profitable industry. This entry was posted in Digital Media Licensing Association, DMLA, Education, Events, Industry News and tagged DMLA Webinar, Leslie Hughes, Luke Taylor, mixed media, Natalie Lloyd, Pixel dot, Stewart Cohen, Superstock, The Movement to Video & Mixed Media Marketing, video, VisualSteam on May 5, 2017 by Cathy Aron. As a prequel to our Annual Conference next month, this webinar will focus on building an effective licensing sales program. The program will start with a high level overview of current market conditions and competitive pressures. Then it will move into the key steps required to build an effective program including how to determine sales goals, targets and building your own lead generation program. The program will conclude with the panelists and attendees sharing favorite tips and tools. 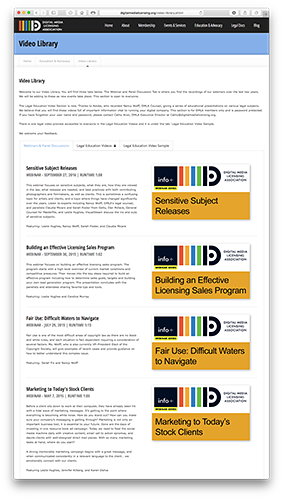 This entry was posted in Digital Media Licensing Association, DMLA, Education, Events, Industry News and tagged Building An Effective Sales Program, Candice Murray, DMLA Sales Webinar, Leslie Hughes, market conditions, webinar on September 29, 2015 by Cathy Aron.